Banking partners and regulators have joined together to provide statewide access to financial services for the marijuana industry. On Sept. 13, CanPay, the first legitimate debit payment solution for cannabis and Safe Harbor Private Banking, the leading compliant banking program for marijuana merchants. An unprecedented move, this is the first time banking regulators, regulators and cannabis licensees have worked together. For a previously unbanked legal medical marijuana market, this is a huge improvement. The 29 states and the District of Columbia have encountered endless obstacles in their efforts to secure payment processing and business funding solutions. Banks accounts are so highly regulated on the federal level that most businesses have been forced to operate in cash-only (obviously unsafe and an impractical situation). Now, those obstacles no longer exist in Hawaii. Through the newly automated Safe Harbor platform and CanPay, merchants and patients can now enjoy greater convenience, transparencies and security. Hawaii’s Commissioner of Financial Institutions, Iris Ikda, the Executive Director HEALTH Kerry Komatsubara were instrumental in this collaboration. Even with this step in the right direction, there is still a long way to go before merchants can easily obtain the specialized services they need. Many merchants in other states that have legalized marijuana are still unable to secure merchant services with financial institutions and other traditional Visa and MasterCard payment processors. With strict federal regulations, banks simply won’t touch cannabis businesses. An increasingly popular solution to this ever-growing problem is a marijuana merchant services with an alternative provider – like Marijuana Merchant Account. With Marijuana Merchant Account, cannabis merchants can quickly secure a merchant account and have it setup in a matter of days. Merchants can easily accept all card types (American Express, Visa, Mastercard and Discover) accept checks over the phone via MMA’s e-check processing services and utilize recurring payments for memberships, discounts clubs and more. The straightforward application process can be completed in a matter of minutes. If your business is struggling to obtain a merchant account or your account has been suddenly closed, consider what a marijuana merchant account can do for you. 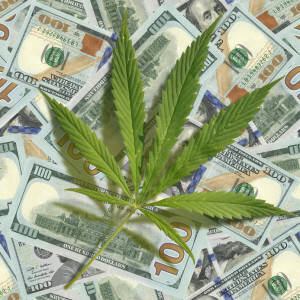 This entry was posted in Hawaii Marijuana, Marijuana Banking, Marijuana Industry and tagged cannabis industry in Hawaii, financial services for the marijuana industry, Hawaii Marijuana, Hawaiian Marijuana, Marijuana credit card processing, Marijuana Merchants Services, merchant account to sell marijuana, merchants and medical, Recreational Marijuana Sales by admin. Bookmark the permalink.